Family, Violet. Sepals and petals, 5, the latter differing in size, the lowest spurred at the base. The side petals usually are hairy, and all are streaked with purplish lines. 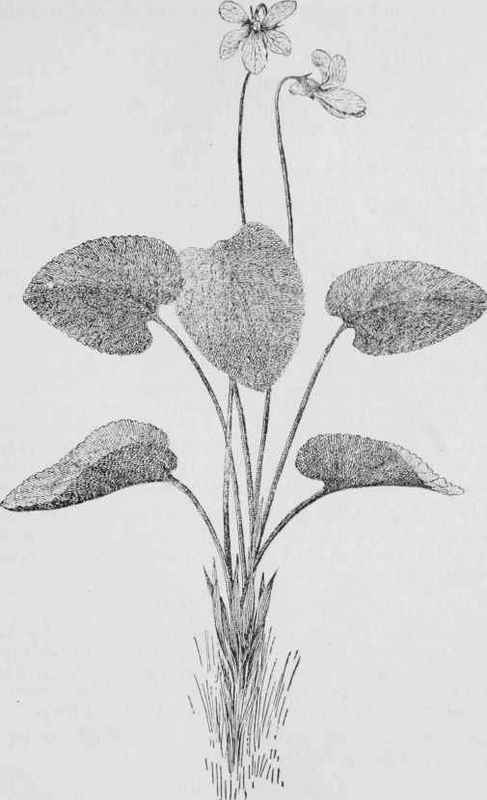 Leaves obtuse at apex, heart-shaped at base, with petioles. Stem and leaves sometimes dotted with red spots. April and May. Along brooks and springs from New England to the mountains of South Carolina and westward.